After a 21 hour drive to southern Colorado near Trinidad, I was greeted with open arms by Barry O'Neill of Call of the Wild Outfitting. I was in for a real treat on this hunt as I was joined in camp by not only one but two other lady hunters, Lorri Chester and Sharon Shetley. 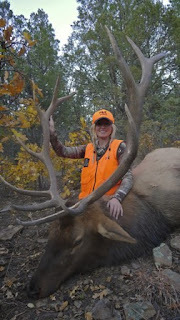 I have hunted my entire life to put my hands on the antlers of a bull such as the one I took on this trip. The meat will feed my family throughout the year and the memories created will surely last my lifetime. Sharon and I tagged nearly identical bulls but Lorri was holding out for her dream bull, coming close on at least one occasion to the 360 of her dreams but didn't quite get the shot she needed. The O'Neill ranch is an 8500 acre private ranch that is part of the Las Animas County 62,667 acre conservation easement with the Rocky Mountain Elk Foundation. 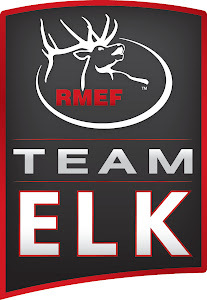 Barry has worked in cooperation with RMEF to enhance the habitat on this ranch specifically for the benefit of elk and other wildlife. It was an unbelievable experience hunting on the O'Neill Ranch with Team Elk and getting to see first hand the positive impact that RMEF makes towards conserving habitat and ensuring the continuation of our hunting heritage. Thank you RMEF, Barry O'Neill, Steve & Colin O'Neill, my guide Johnnie Hamilton, Lorri's guide Marty Pachelli and Scott & Lorri Chester for helping my dream bull become a reality. 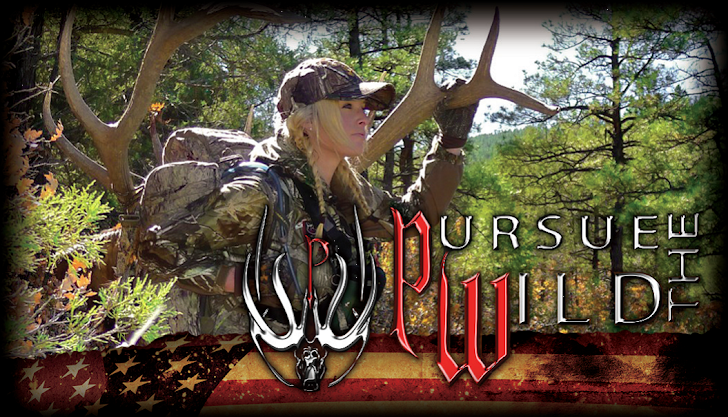 I can't wait to share with all of you exactly how this dream hunt unfolds next year on the Team Elk television show.